Cinema Siren Says: Go See Wonder Woman! Wonder Woman is directed by Patty Jenkins. She is going to be only the 4th woman to be hired to helm a live action. film with a budget over 100 million dollars. The 4th woman if you only count live action, or if you count animation features as well, the 6th. That number is out of 361. There have been 361 movies made with budgets over 100 million, and Wonder Woman will be the only the 6th movie ever with that big a budget to be helmed by a woman. Ok, why will going to see Wonder Woman early help women in general? Money talks in Hollywood, as with any money-making business. If lots of people go to early screenings and the movie breaks a number of box office records, it offers further proof that hiring female directors is as smart and financially sound a choice as hiring another male for the next movie with a big budget. It might surprise you to know that the movie-going public, much like the general makeup of the population, is 51% female. Women don’t avoid movies, and they certainly don’t avoid them if they have a female lead character. Unfortunately, in the US, they do have to contend with the fact that way less than half of the films released by studios in this country pass the Bechdel Test, meaning fewer than 50% have two named female characters that speak to each other and about a subject other than men. Obviously since Wonder Woman partly takes place on an island entirely inhabited by women, this film will pass the Bechdel Test with flying colors! 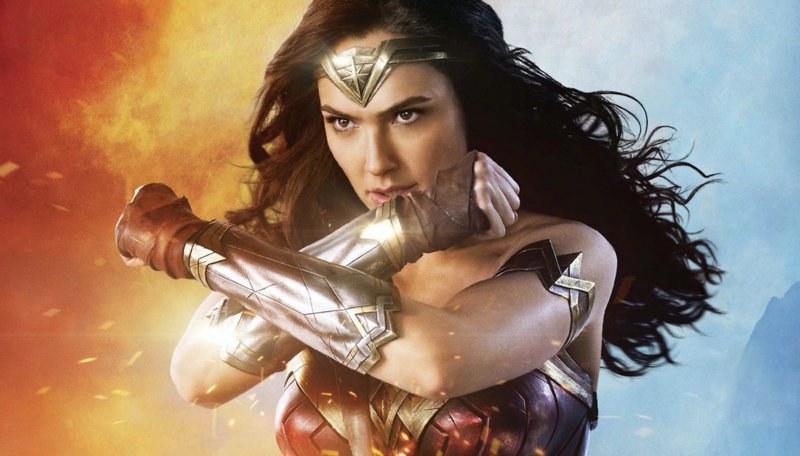 It may seem like this sort of campaign—the desire for a female-helmed superhero movie to do well at the box office—is trivial in comparison with heavier subjects like world health concerns for women. The fact is that directors are able to bring attention to subjects and issues with smaller, indie films, when they can make big, high-profile money-making movies as well. Even Steven Spielberg will tell you, clout and box office success as a director get many a passion project made. Female directors have important stories to tell that can change public perception about any number of subjects. For example, no one would have ever known the real-life story of brilliant female chess player from the Ugandan slums, Phiona Mutesi, had it not been for Mira Nair’s film, Queen of Katwe. Check out Leslie’s review of the film here! Leslie Combemale is an international art consultant, artist representative, and owner of the successful gallery ArtInsights for over 25 years. She is an international expert in the fields of animation art and traditionally illustrated film art, and exclusively represents an increasing number of contemporary artists worldwide. She has developed collections for film and illustration art aficionados and fine art connoisseurs around the world, notably placing the art of famed cinema artist John Alvin. She has also acted as art director partnering with artists in a variety of genres to create images for private commissions, gallery editions, and corporate art spaces. The projects she is working on with artist Tennessee Loveless, most recently The Art Outsiders and Vox Populi, are bringing her a new level of fulfillment professionally. She also writes and conducts interviews on a webzine focused on the animation industry, Animation Scoop.com, the popular site LikeABossGirls.com, her own WomenRockingHollywood.com, and other outlets worldwide as film critic Cinema Siren. She has been building and moderating panels at the world-famous Comic-Con International-San Diego for over 12 years. These panels serve to expand awareness of the importance of artists behind the scenes in animation and film. She also focuses on diversity and gender parity in Hollywood, and the first year of her “Women Rocking Hollywood” panel was the only one at the con to include official representatives from both DC and Marvel. Most importantly, she thinks being a feminist is a badge of honor, not something to be ashamed of or apologetic about, celebrates her 51 years by telling her age to anyone who asks, stands up against ageism, and steadfastly holds to representing women over 40 as worthy, badass, and a force to be reckoned with. Because obviously.